Chipotle's history of food-borne illness appears to be repeating itself, with a lone Ohio restaurant now at the center of the unfortunate saga. The outpost in Powell, Ohio made headlines late last month, when more than 200 customers say they fell ill after dining at the restaurant. But now, the number of illness reports has grown to over 600, and authorities are still at a loss as to what's behind the outbreak. According to an update from the Delaware County Health District posted to Twitter on Monday, the number of patrons complaining of "self-reported gastrointestinal symptoms" has jumped to 624. Authorities conducted interviews with 513 customers and after the rigorous testing of stool samples for pathogens like Salmonella, Shigella, E. coli, and Norovirus, a culprit still hasn't been determined, per a report in the Dayton Daily News. The tweet notes that testing is still ongoing. Chipotle's latest brush with with food-borne illness started in late July, when more than 100 customers posted reports to IWasPoisoned.com, a website that allows people to submit their own reports of food poisoning. Chipotle closed the outpost in question for a day out of an abundance of caution and to cooperate with local health officials. On Tuesday, Chipotle said the Ohio restaurant's food inventory had been completely replaced after a "complete cleaning and sanitation of the restaurant." "We have continued to cooperate with health officials since we reopened the Powell, OH, restaurant last Tuesday after voluntarily closing it for 24 hours to implement our food safety response protocols that include total replacement of all food inventory and a complete cleaning and sanitation of the restaurant," a Chipotle spokesperson told Thrillist in an emailed statement. "The health of our guests and employees is our top priority, and we will provide future updates as appropriate." 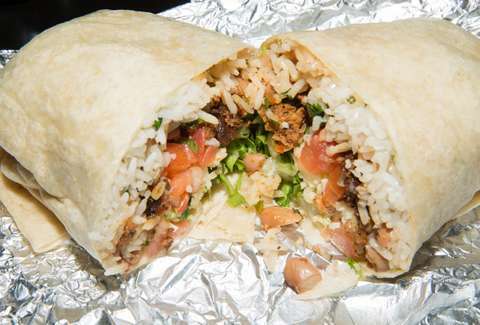 The embattled burrito chain also faces two lawsuits from customers who claim they were sickened at the Ohio restaurant. This is all a bit of deja vu for Chipotle, which saw its public image tarnished in the wake of e.coli and norovirus outbreaks that drew lots of attention in late 2015 and early 2016.